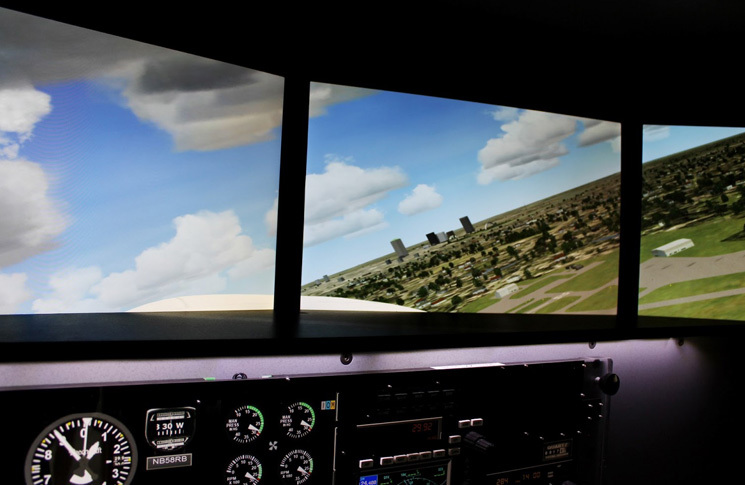 Flight simulators are part of professional life for air transport pilots, but in general aviation the epithet ‘toy’ can still be heard in some discussions of them. But flight simulators (including the similar but less completely realistic synthetic training devices) have more than ever to offer the GA and VFR pilot. 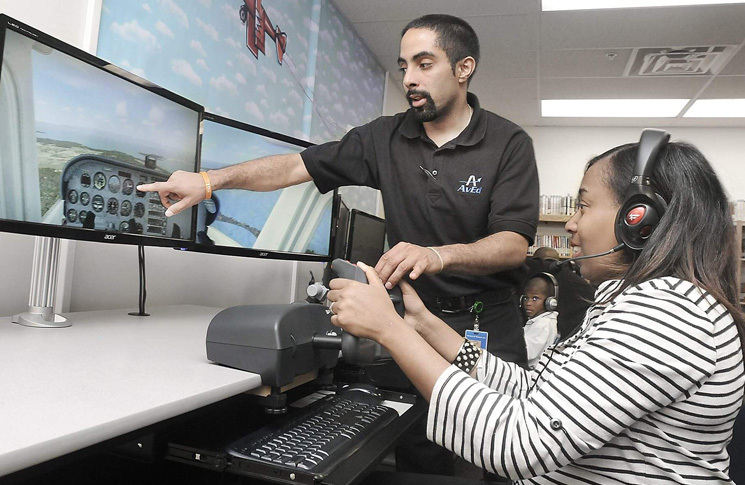 Regulation is evolving to encourage GA to make more use of flight simulation. As part of its Flight Simulator Operational Plan 2012-2014 CASA is adopting the classification framework in ICAO Document 9625 for fixed-wing and rotary-wing simulators. What this means is ‘enhanced international harmonisation’, as Australia recognises ICAO’s seven categories of flight training devices. The key point is that more sophisticated training devices will be acknowledged and allowed to play a greater role in pilot training. The intent is for all aircraft operators, including those in general aviation, to invest in more sophisticated flight training devices. Most devices in the GA sector are generic – they don’t use test flight data like a licensed simulator. But that doesn’t stop them having high-quality visual simulation, and even motion, in some cases. Under the old system these were given the same CASA classification as a desktop-based device with a computer screen, a yoke and a basic set of pedals, which the pilot sat on a kitchen chair to operate. A few flying training organisations have been quick to adapt to the new rules. Schofields Flying Club has had a Redbird synthetic training device in operation at its Bankstown base since May 2012. 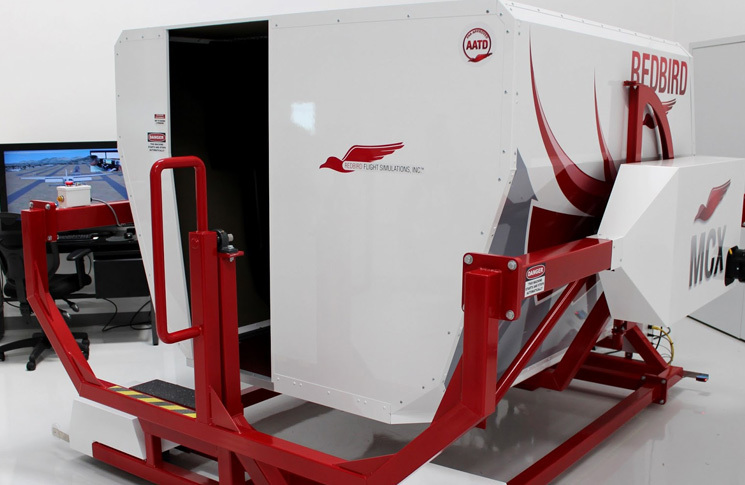 The Redbird is a motion platform generic piston- engine synthetic trainer that can be configured as a single or twin. It has logged 1600 hours to date. The Redbird has mostly been used for IFR training for both command IFR and private IFR ratings. However, Cooper says it has enough fidelity to be useful in visual flight. ‘Because first-generation simulators, like the old Link trainer, were mechanical, the perception has remained that they are largely procedural and IFR,’ he says. ‘The Link trainer mainly reacted to the pilot with instrument readings, though it had a primitive motion platform based on pianola (vacuum pump) technology. 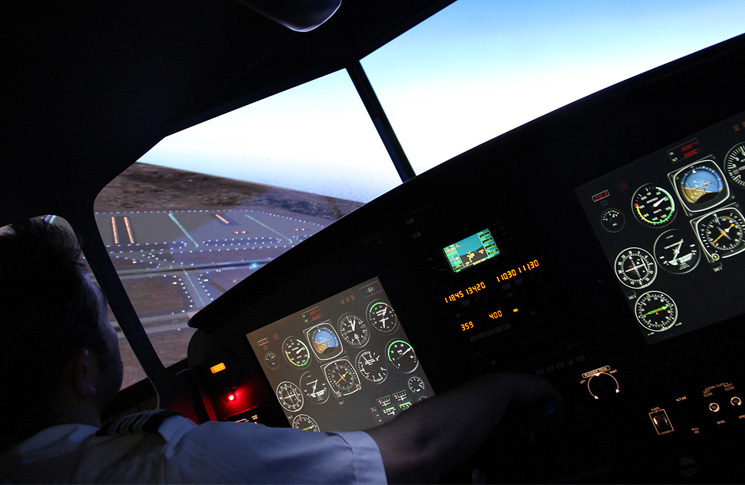 Students can face ‘what if?’ scenarios in the simulator safely and develop their responses and techniques before practising the manoeuvres in an aircraft. Such scenarios can include: crosswind landings, partial panel flying and engine failure. Cooper says the club’s experience has confirmed an adage of training: mixing simulator and actual flight training produces a synergy – a result greater than the sum of its parts. ‘There’s no chance of simulators replacing time in the aeroplane; instead they very effectively complement time in the cockpit,’ he says. Consequently, one of the keenest user groups of the Redbird has been Schofields’ instructor corps. 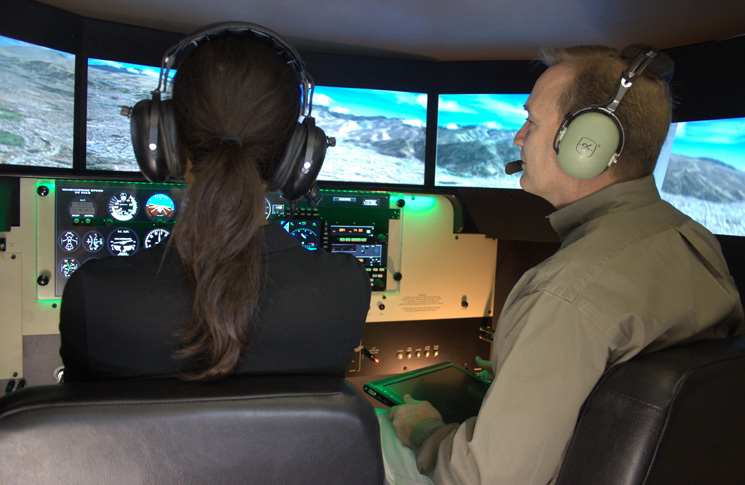 ‘They find it very useful to practise instructional scenarios and demonstrations and to build their skills in flying and teaching,’ says Cooper. 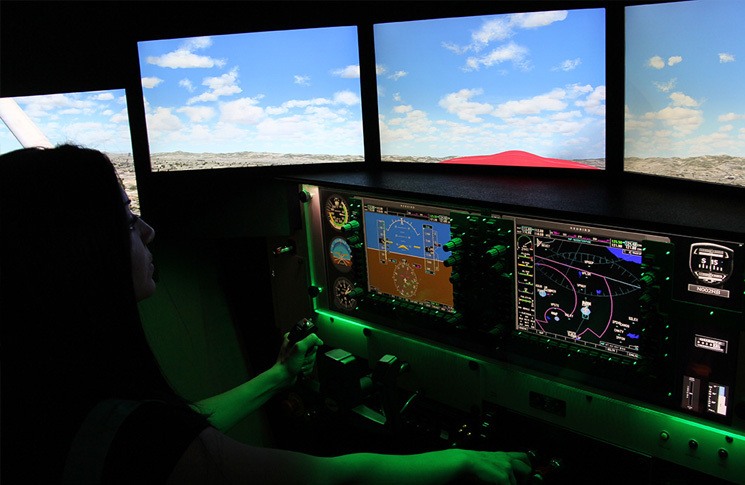 Other users have included aircraft engineers on flight experience courses, who found it helpful to experience the sensations of piloting, Cooper says. An Australian distributor of Cirrus aircraft, Avia Aircraft, recently commissioned a full-motion Cirrus SR22 synthetic training device from Australian manufacturer CKAS Mechatronics, for use in their Cirrus training centre. CKAS also makes simulators for industrial processes in oil, gas and mining, as well as a commercial diving simulator. Avia’s Charles Gunter says GA simulators have benefitted from three recent trends in simulator development. Mechatronic actuators are cheaper to buy, need much less maintenance and can be more accurately programmed than hydraulic motion platform systems. This gives a smaller mechatronic platform the same sensation-generating ability as a much larger hydraulic platform. The result, Gunter says, is that systems that only airlines could afford a decade ago are now within the financial reach of GA training organisations. ‘Right now the regulations are catching up because the industry is moving so fast. For the same level of performance you now pay about 20 per cent of what it would have cost five years ago,’ he says. be completely taught in a real aircraft. He stresses however that simulators and synthetic trainers need to be used appropriately. ‘When we train in the simulator we take it as seriously as any other flight. ‘Simulation builds capacity to cope,’ Gunter says. It’s about creating a gap between your point of task saturation as a pilot and the level you’re currently operating at.